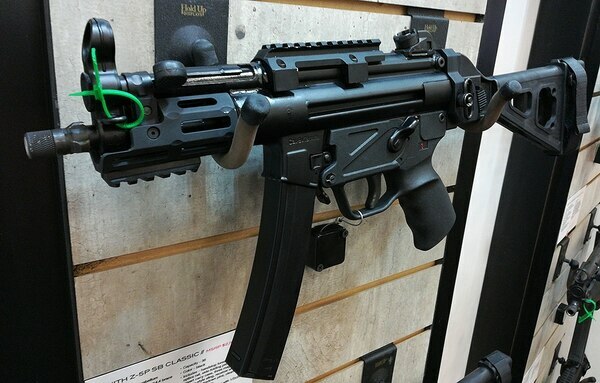 INDIANAPOLIS – If a recent request by the Army’s soldier weapons office is met, some soldiers could be carrying a 9mm submachine gun such as an Uzi or Heckler & Koch MP5. The Army is asking industry to showcase what kind of fully automatic, 9 mm subcompact weapons it has in its stocks through a recent posting on the fedbizopps website, a site for government contract postings. According to the Request For Information posting, the “(Sub Compact Weapon) will be a full/semi-automatic selectable variant.” It must also have the Picatinny rail, familiar to soldiers on their existing M4 carbine. Weapons of this sort have been in use in Special Operations Forces units such as SEAL teams and others who do close quarters battle and hostage rescue. The weapon has rapid fire capability for short ranges but the 9mm round limits overpenetration that might be common with 5.56mm M4-type weapons. Lt. Col. Steven Power, product manager of Soldier Weapons for Program Executive Office-Soldier, mentioned the new posting at the National Defense Industrial Association Armament Systems forum here as one of several examples of quicker acquisition of weapons systems to meet soldier needs. 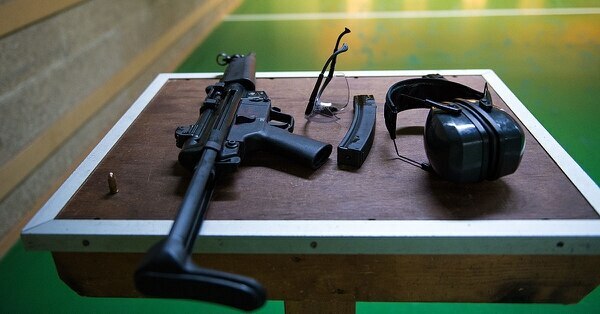 The focus of this weapon is not to outfit every soldier with a subcompact weapon but to focus it on those who might need a personal protection type weapon for certain missions. In January at the annual Shooting Hunting Outdoor Trade Show in Las Vegas, firearms company Sig Sauer unveiled a compact weapon specially built for SOF units called the MCX Rattler. It packs a little more punch than the one being sought by regular Army. The Rattler fires the .300 Blackout round and measures just 16 inches when folded. The round is a more powerful design along the lines of the 5.56mm round so likely would not be used in the same settings as the subcompact gun being sought. Industry officials have until May 19 to post their packages on the website. One company, Zenith Quest Corporation, has expressed interest in providing the weapon. They make the Zenith Z-5P, Z-5K and 5RS, all similar in appearance to the classic H&K MP5, which is in use by many police Special Weapons and Tactics units.